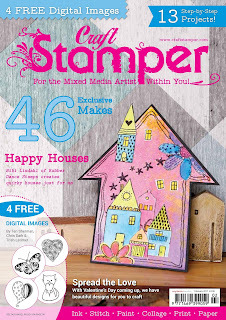 Our Marvellous March Issue hits the shops on Friday! We seem to have been overrun with animals in this issue! 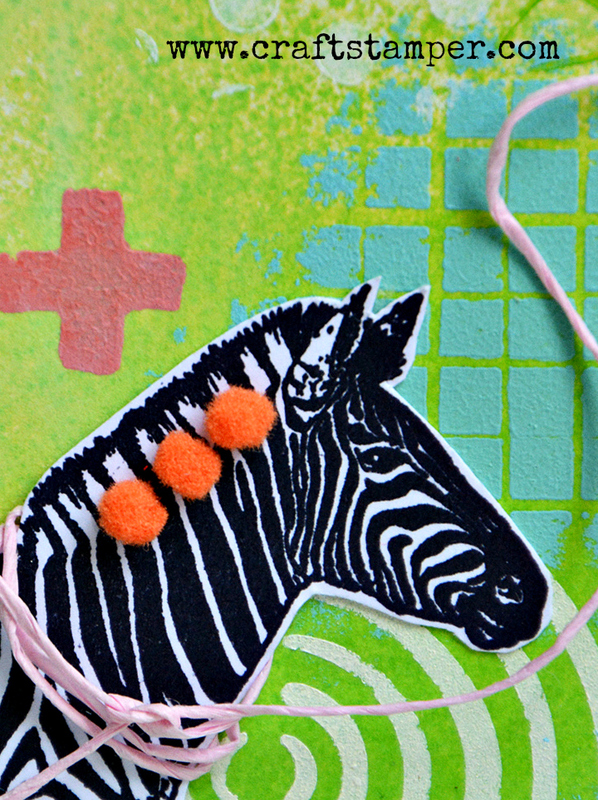 We have zebras, and a whole herd of elephants! 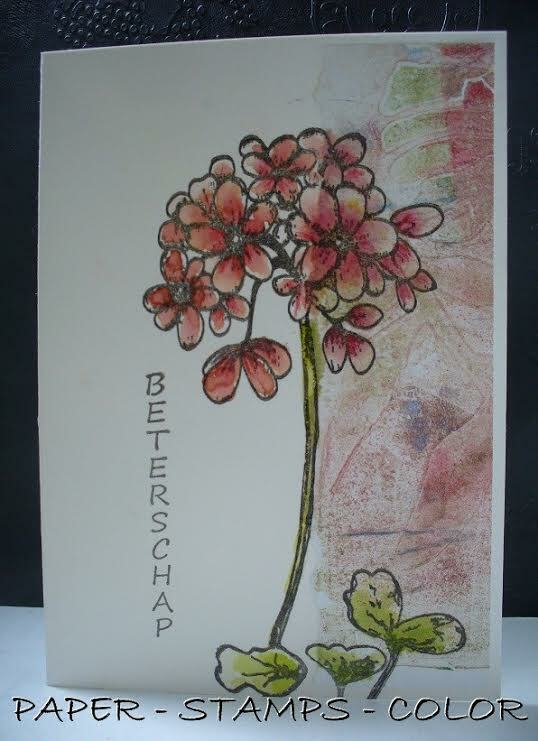 Anneke De Clerck is sharing the zebra project on page 22. 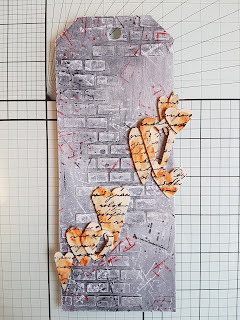 African themed stamps don’t need to be saved for landscaped, sunset style projects at all, why not think totally out of the box and create something wonderfully quirky just as Anneke has done with this project! The herd of elephants come courtesy of a Cardmaking Paradise template. We gave six designers the template to play with, and what happened? 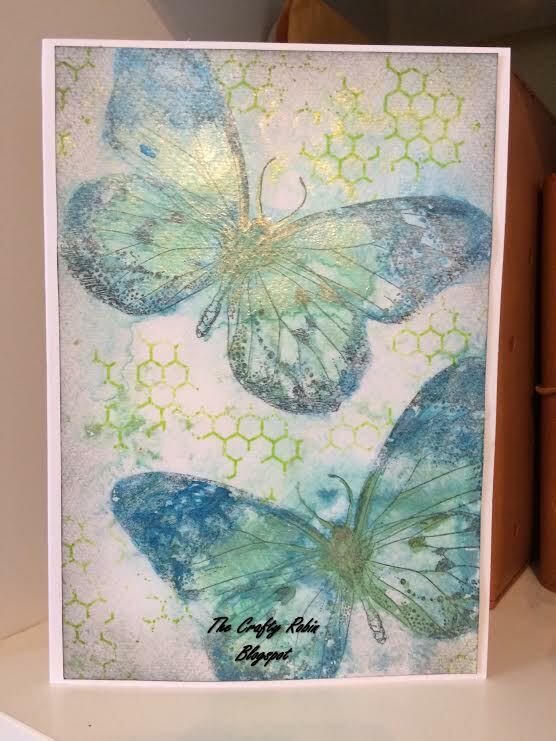 A wonderful herd of very varied projects, just like this VERY sneeky peek from Tracy Easson's Elephant! 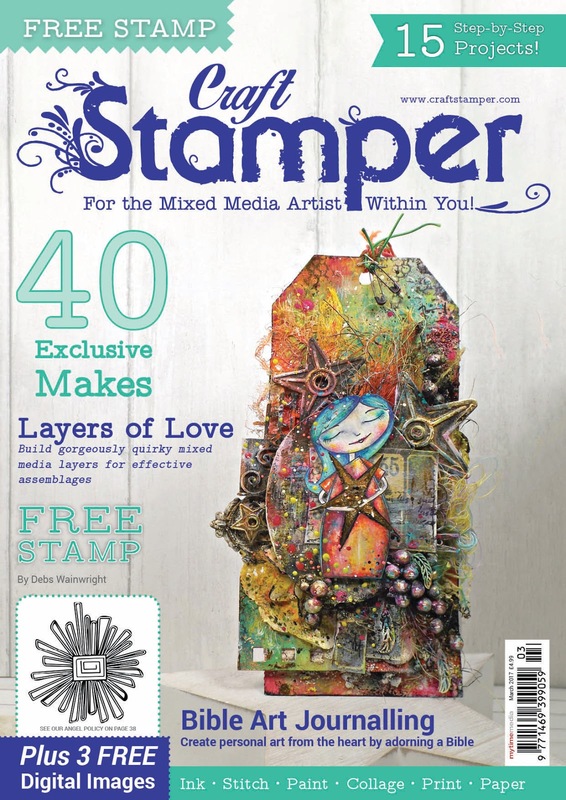 We are welcoming two new designers to our Craft Stamper family this issue. 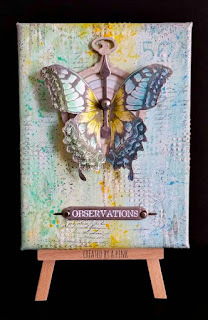 Monika Januszewska has created the most amazingly vibrant canvas for us on page 6..
and Dot Leathbridge shows us how to use masking in our work on page 18. 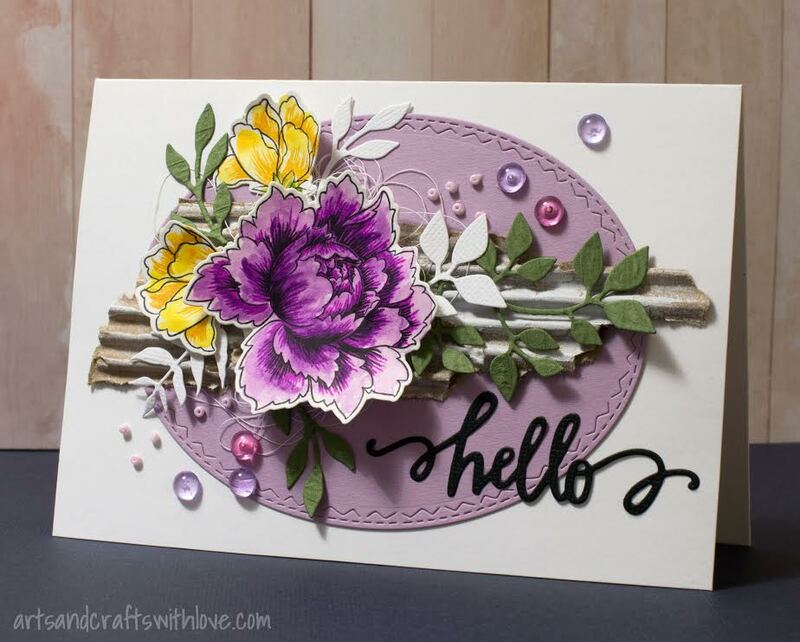 Simply stunning projects ladies, and a huge warm welcome from the CS team! 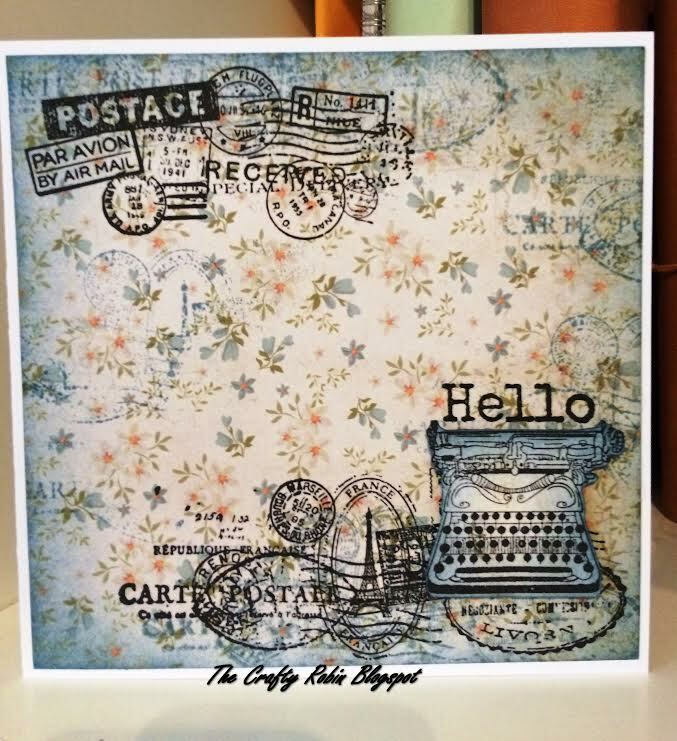 Our stunning free stamp this month has been designed by the very talented Deb Wainwright. 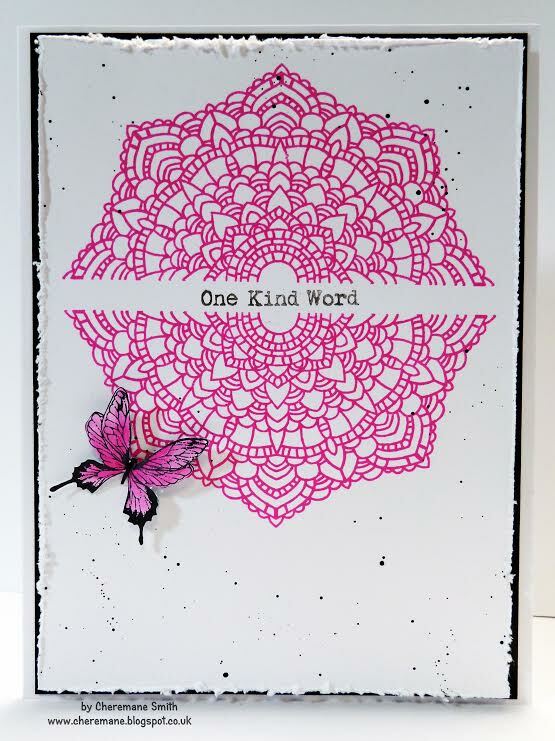 Also available in digital format, the retro geometric flower has been showcased to stunning effect by Deb on page 39. 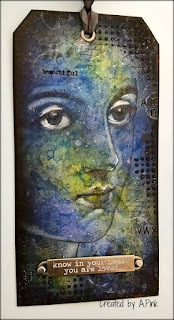 We are also very honoured indeed to have digital artist Rick St Dennis sharing work in this issue. 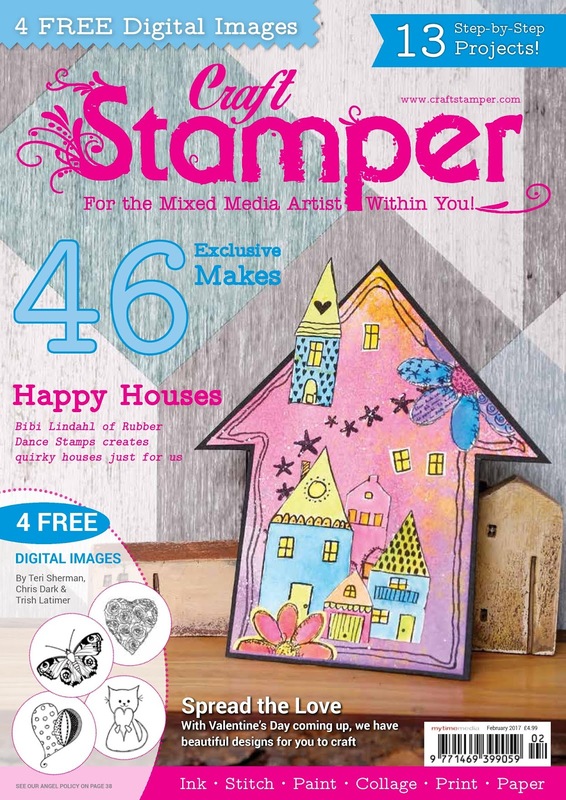 His absolutely stunning castle image is available as a free digital download for all readers, check out page 38 to see how to get hold of it! 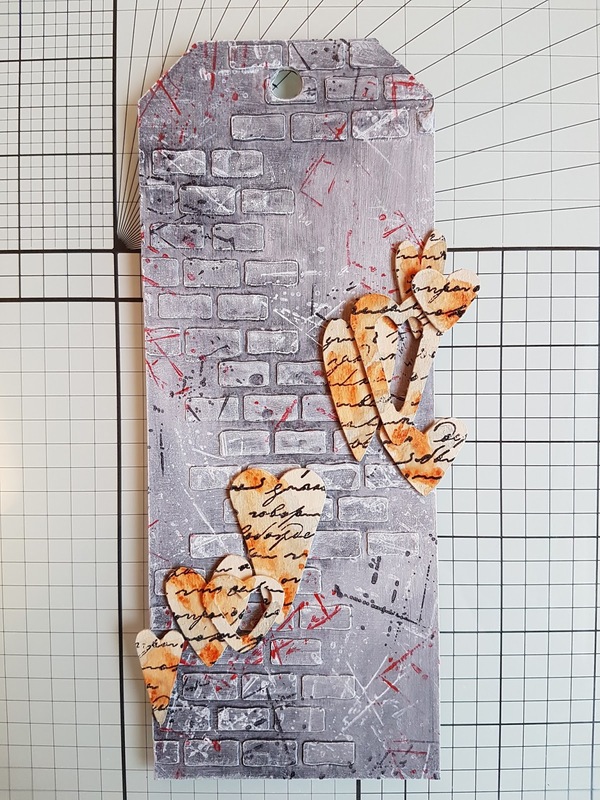 We also have an wonderful upcycled cassette tape by Gio Zara..
and a gallery full of ‘Tempting Textures’ themed cards in this issue! 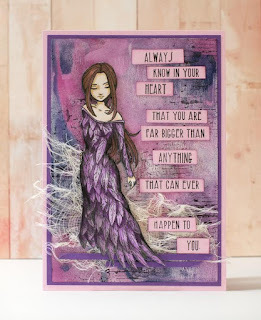 Lots for you all to experiment with, and don’t forget, I would love to see what you create! 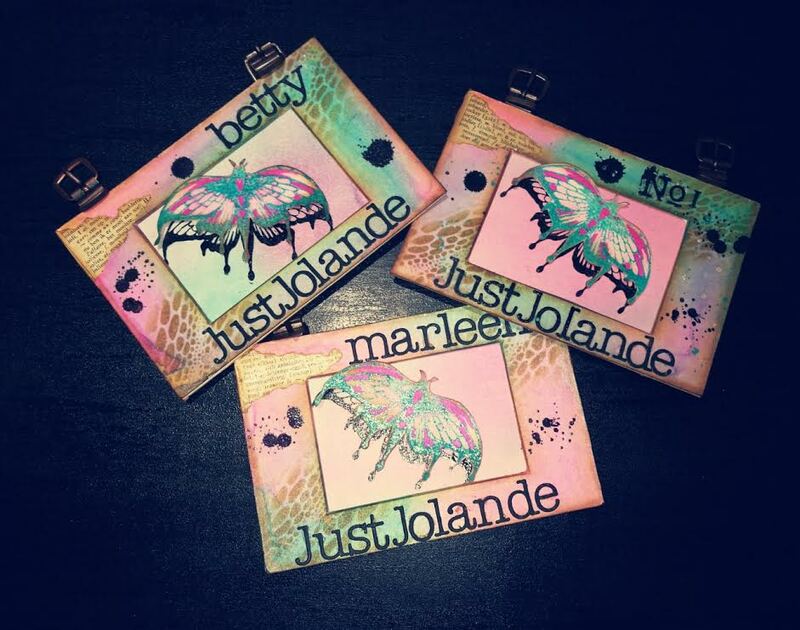 Email me, or share on our Facebook page! 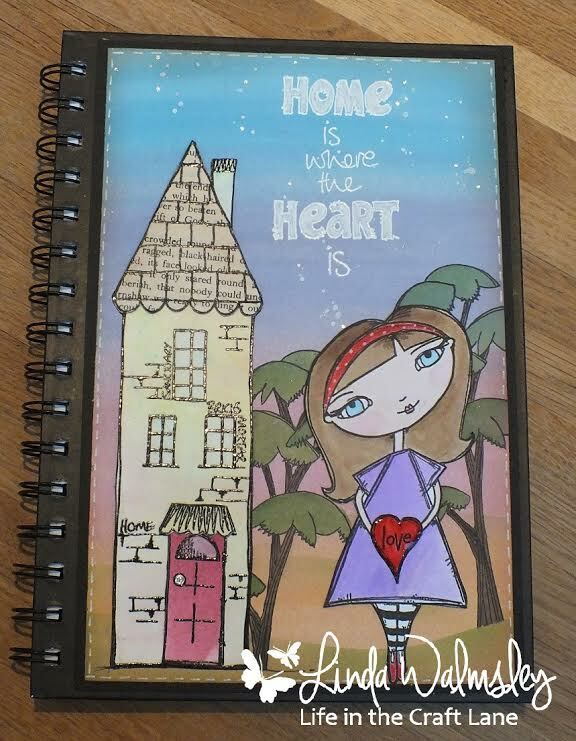 We loved this wonderful journal cover! 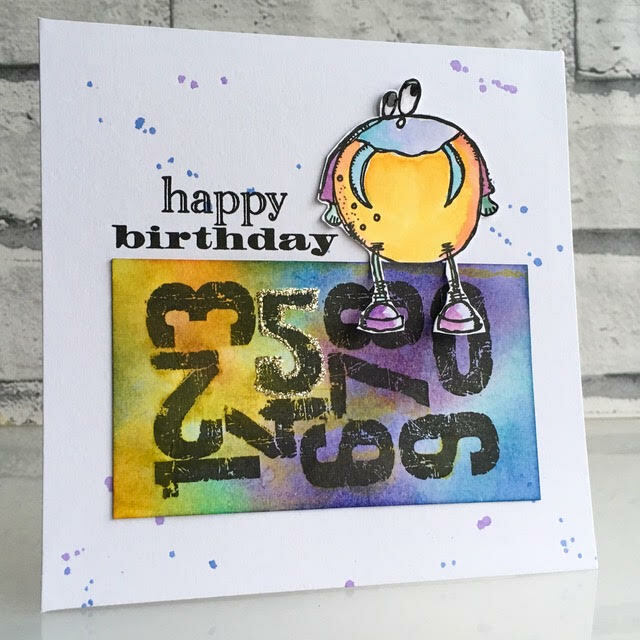 Such bright vibrant colour, and amazing texture too! 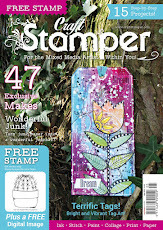 Lula will win a Guest Designer slot here on the blog, her very own Winners Profile, and of course her amazing art will be featured in it's own 2 page spread in Craft Stamper magazine! Congrats ! 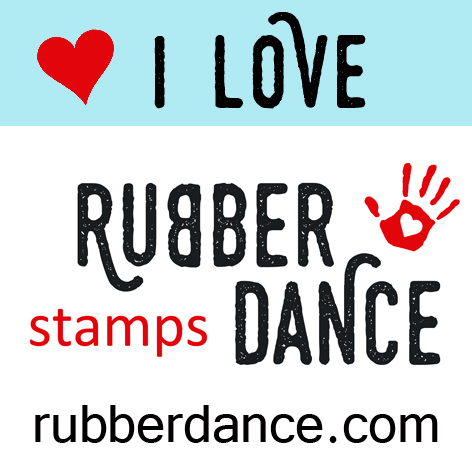 Rubber Dance is a stamp company from Norway, owned by Bibi Lindahl who has been making stamps since 1999! 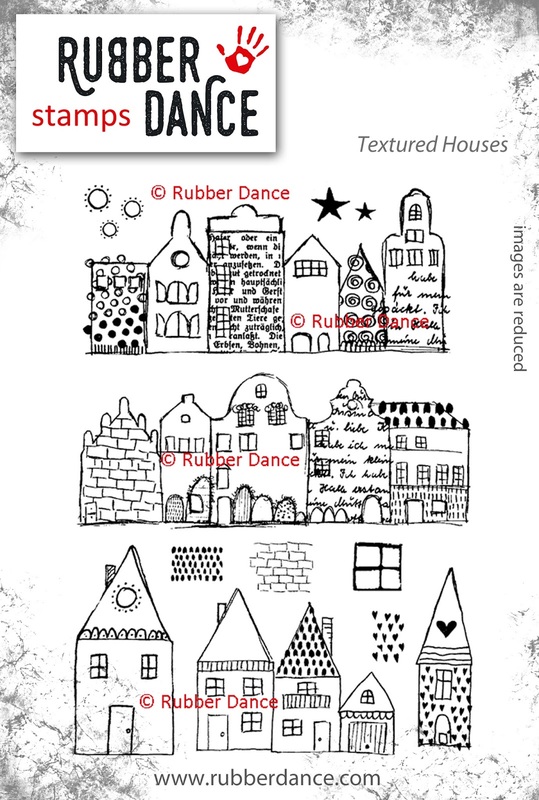 On the Rubber Dance blog you'll find inspiring artwork by the talented Design Team, plus 70 video tutorials, and counting, on YouTube. The stamps offered by Rubberdance are a fabulous and eclectic mixture, something for everyone! The stamp set that Bibi used to such great effect on the cover of the February issue of Craft Stamper, is the prize offered for the randomly selected winner of our January challenge! 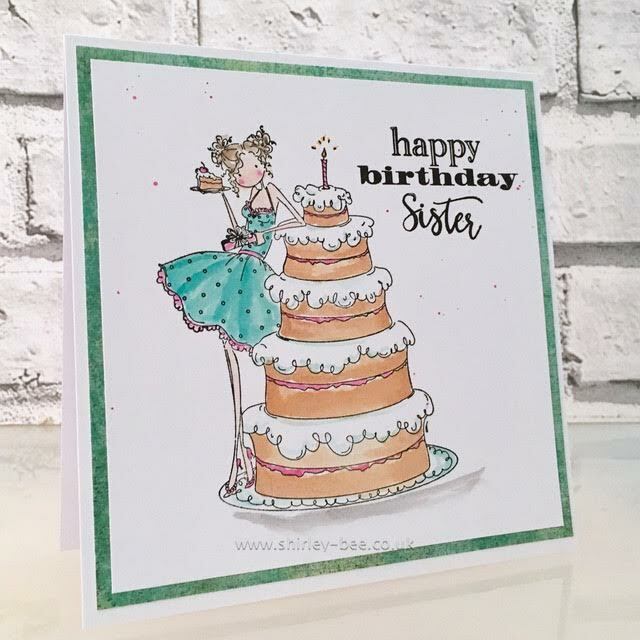 Congrats Inkybliss, I think you'll have a wonderful time creating with your prize! 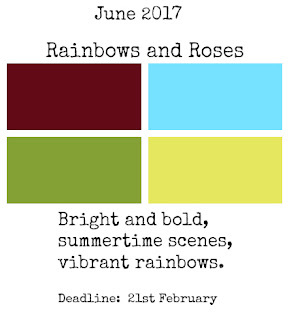 Our February challenge will be launched next Friday, February 3rd. 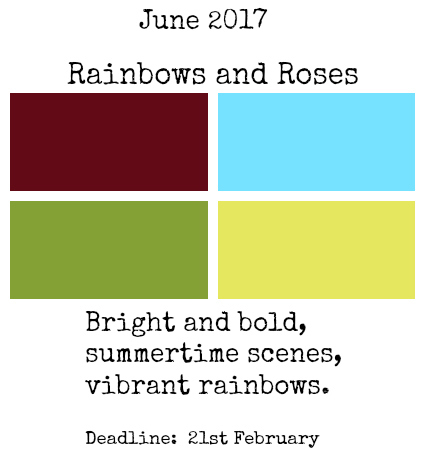 We are looking for submissions for our Ready, Set, Stamp feature on the following theme for our June issue of Craft Stamper. If you've always wanted to see YOUR card in print, now is your chance!! 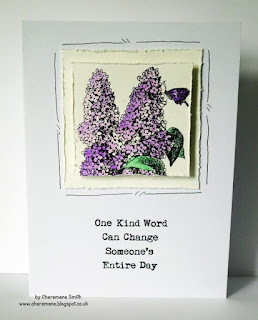 A HUGE congratulations to Amanda... our first ever double winner! 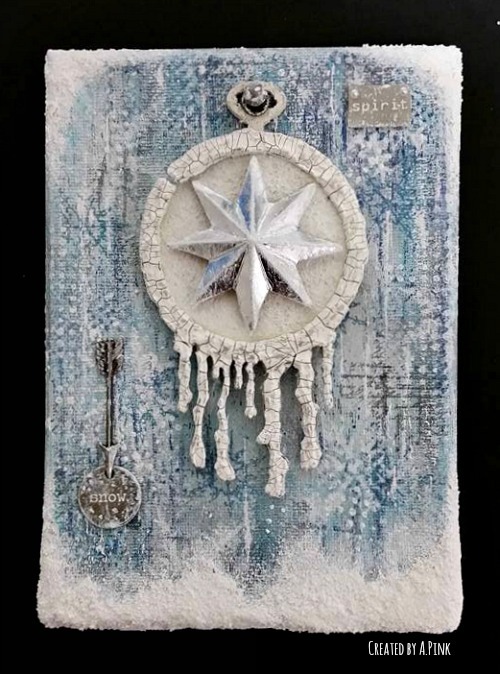 We loved the amazing textures in the canvas, a wonderful wintery effect! As Amanda has already answered our usual questions, we changed things up a little this month! 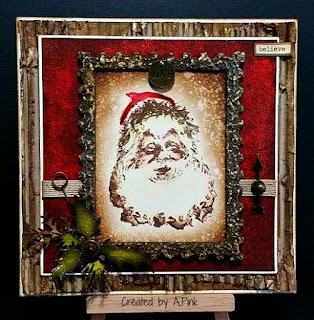 Q: Do you think your stamping/mixed media style has changed since you began stamping, and if so, how? 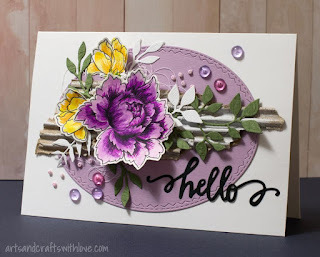 A: I’m not so sure my style has changed as I still love to create grungy , vintage , arty type projects in the main but I do think it has evolved over time and will hopefully continue to do so as I gather even more experience , experimentation and knowledge . The creative journey is one enthralling ride! 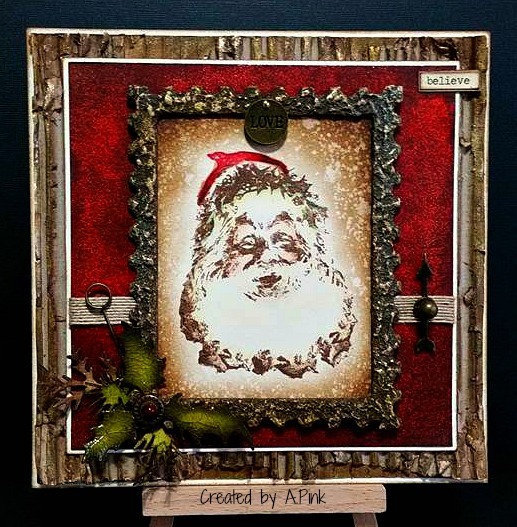 A: I love trying out any technique but I guess if I had to choose a ‘go to’ it would be Tim Holtz wrinkle free distress technique or maybe a crackle technique. 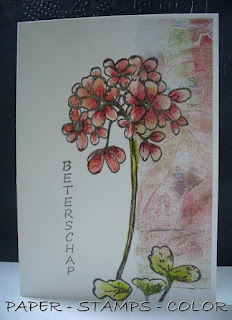 A: Now that changes all the time as I discover and try out new combinations of colour. I’m always happy to be working in any shade of blue and I have a lot of love for the classic monochrome combo – black, white and grey/ silver. 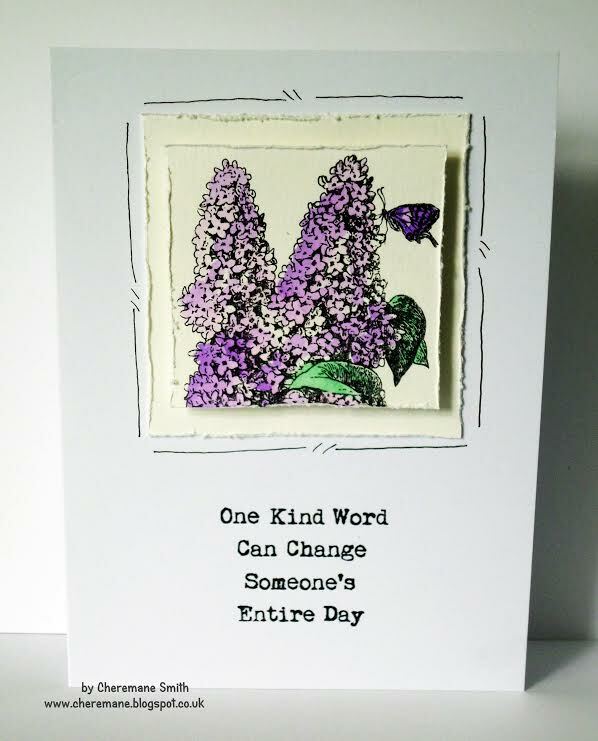 A: Both for sure. 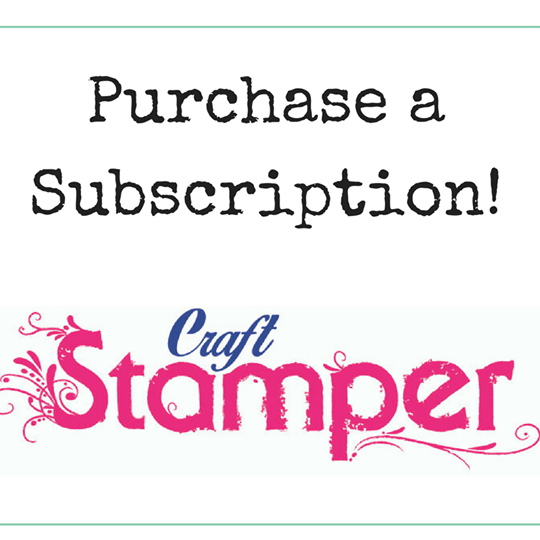 A crafter can never have enough of either, right? 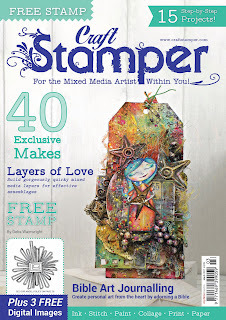 A: That would be a wood mounted stamp -‘Spikey’ by Stampotique. I knew little about the popularity of the brand at the time , just loved Spikeys funky look. 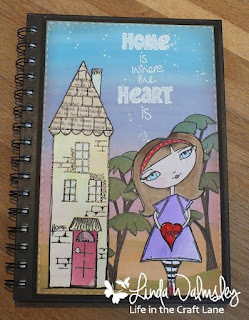 She used to see the ink regularly (before my blogging days) but I have to admit I have neglected her of late . I’m sure though she will make a ‘comeback’ appearance soon. 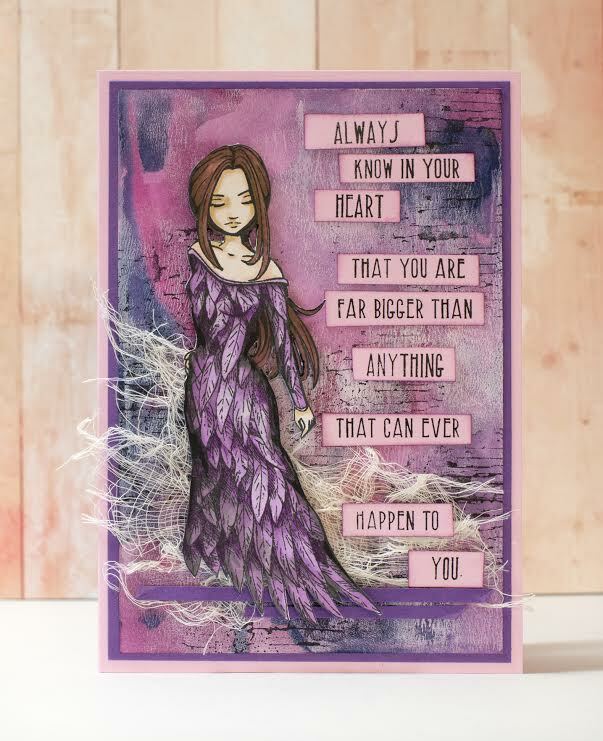 Congratulations on being our December Design Winner Amanda , and it was lovely to learn a little more about you! 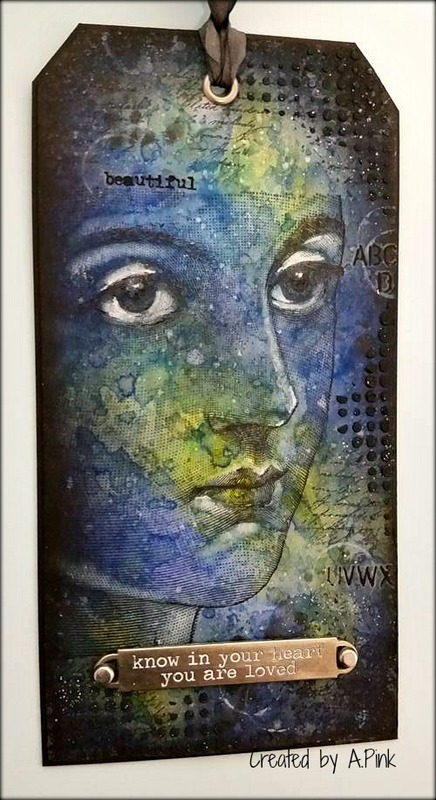 Our current challenge 'Take A Stamp: Anything Goes' is open until January 25th, so still lots of time to enter! 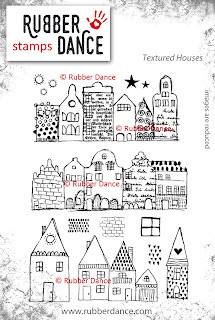 Don't forget the fabulous prize, the wonderful sheet of RubberDance house stamps! We are thrilled to have Hannah Oxberry, winner of our November Take It Make It challenge, as our Guest Designer this month! 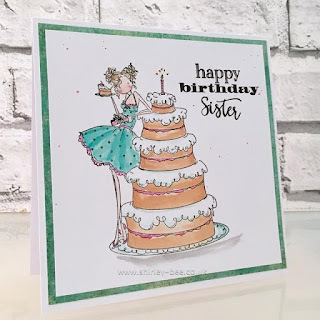 We loved the tag she created for our Inspiration post on Friday, and Hannah has very generously created a step by step tutorial to show how she made it! 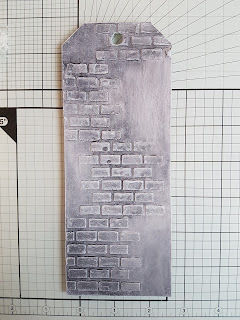 Draw modelling paste through a brick weave stencil onto a greyboard tag. 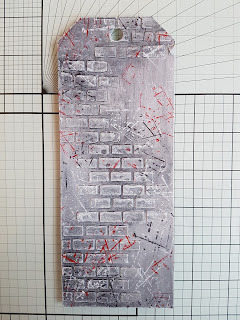 Once the paste is dry gesso the whole tag. 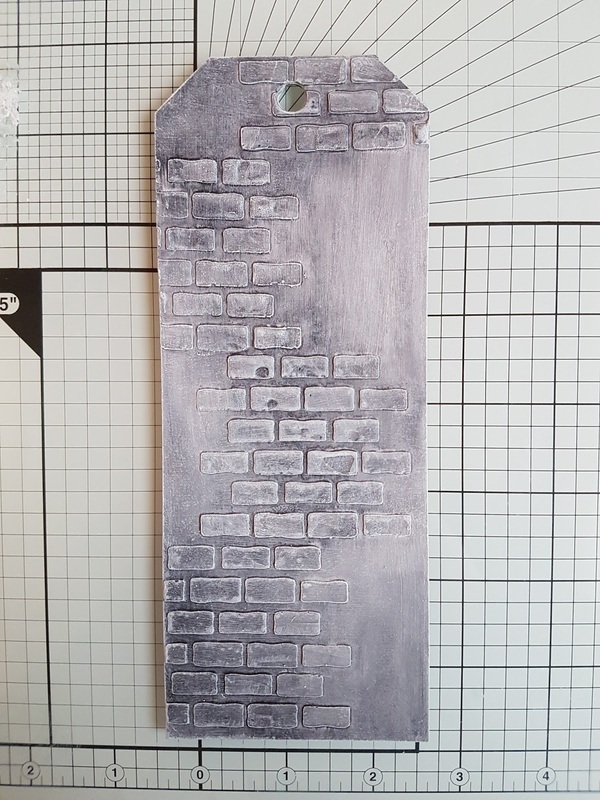 To create the background colour, wash paynes grey over the tag, ensuring a darker wash collects between the raised bricks. 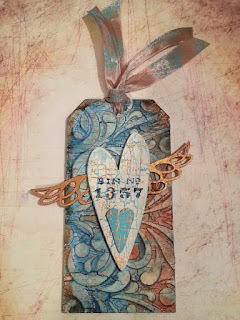 To highlight details, dry brush the tag with white gesso. 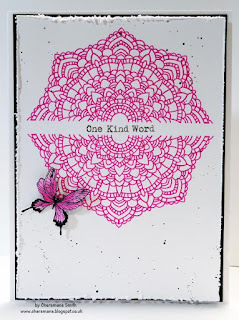 Add detail to the background of the tag by stamping an abstract pattern in areas, build up the stamping by using black, red and white colours. Add an embellished flourish of hearts to your tag. 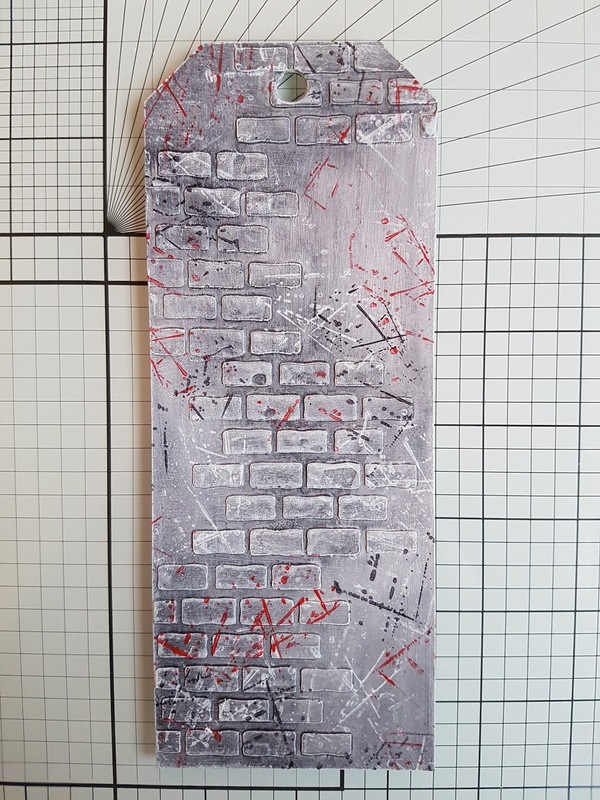 Give them an aged paper look by painting them in titan buff and building a wash of paynes grey and quinacridone gold over the top. 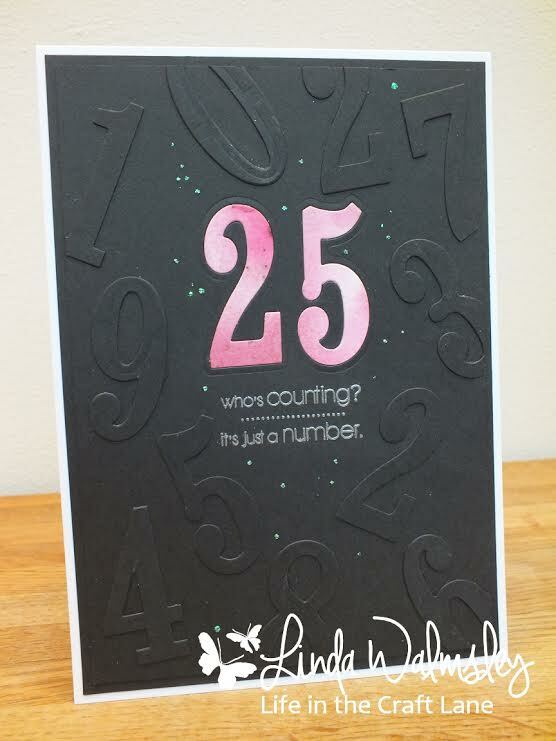 Stamp them with a script stamp in black. 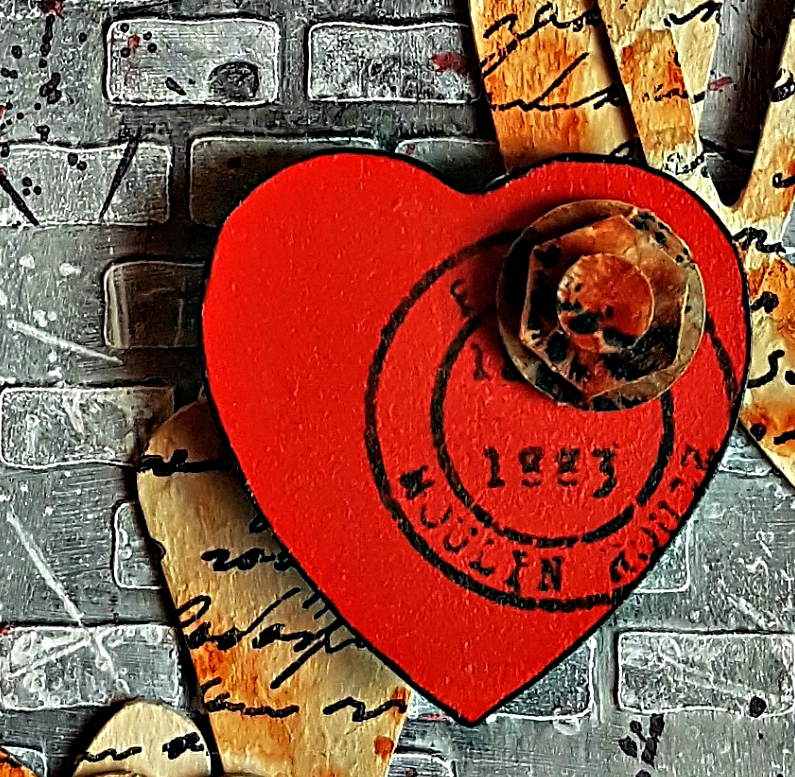 Paint in red an MDF heart, stamp with a postage mark in black and also edge the piece in black. 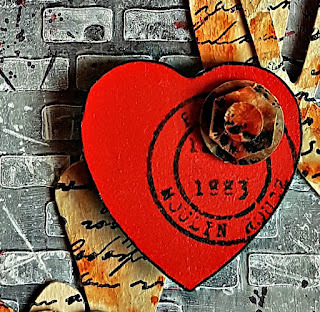 Add a bolt embellishment for interest and set raised to the centre of the aged paper effect hearts to finish your focal motif. 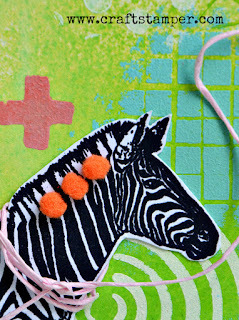 Tie hemp cord through the top of the tag to finish. Thank you so much Hannah.... the textures are just gorgeous! 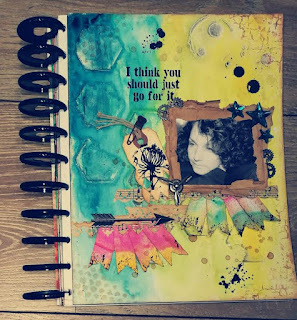 Take It Make It January Challenge: Inspiration! 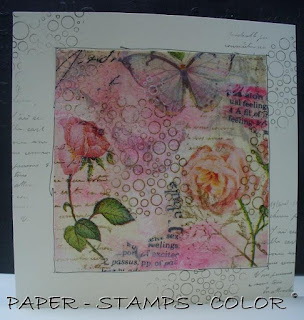 The stamp set that Bibi used to such great effect is the prize offered for the randomly selected winner of our January challenge! 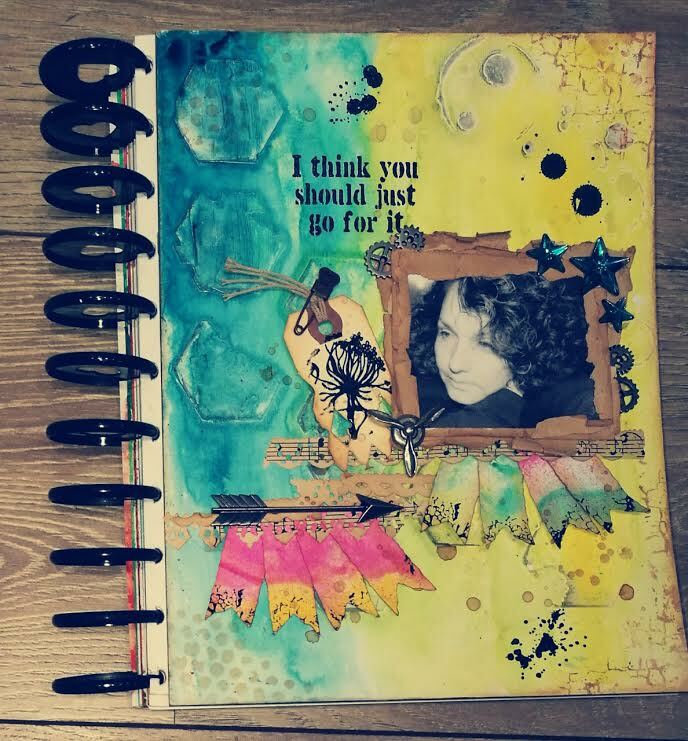 Take It Make It Challenge: January! 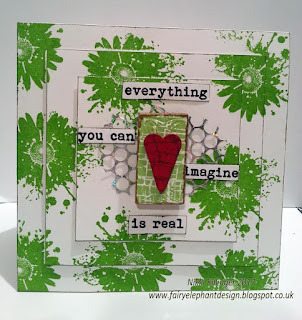 Welcome to the Craft Stamper January Take It, Make It challenge!